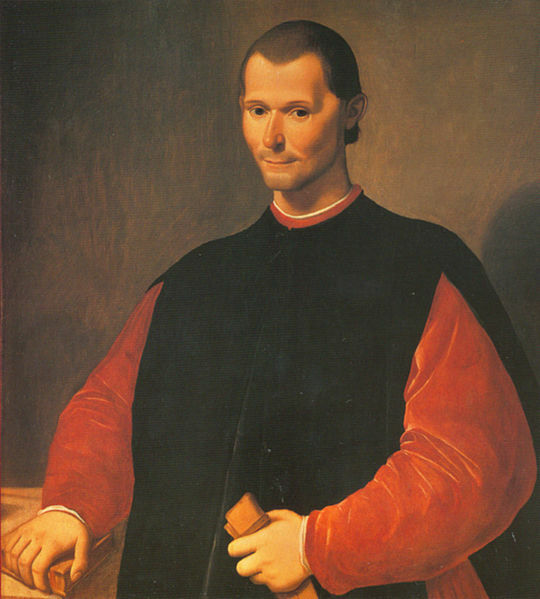 Niccolò Machiavelli was born on May 3, 1469, in Florence, Italy. He eventually became a man who lived his life for politics and patriotism. Right now, however, he is associated with corrupt, totalitarian government. The reason for this is a small pamphlet he wrote called “The Prince”, to gain influence with the ruling Medici family in Florence. 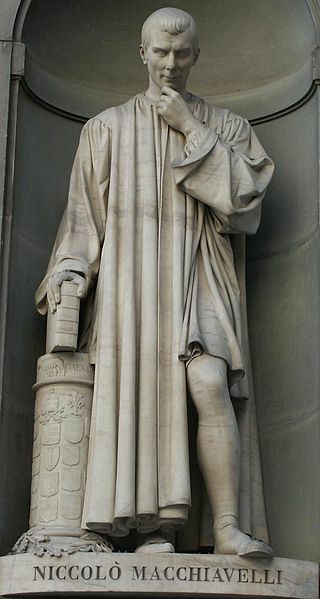 The political genius of Niccolo Machiavelli was overshadowed by the reputation that was unfairly given to him because of a misunderstanding of his views on politics. Machiavelli’s life was very interesting. He lived a nondescript childhood in Florence, and his main political experience in his youth was watching Savanarola from afar. Soon after Savanarola was executed, Machiavelli entered the Florentine government as a secretary. His position quickly rose, however, and was soon engaging in diplomatic missions. He met many of the important politicians of the day, such as the Pope and the King of France, but none had more impact on him than a prince of the Papal States, Cesare Borgia. Borgia was a cunning, cruel man, very much like the one portrayed in “The Prince”. Machiavelli did not truly like Borgias policies, but he thought that with a ruler like Borgia the Florentines could unite Italy, which was Machiavelli’s goal throughout his life. Unfortunately for Machiavelli, he was dismissed from office when the Medici came to rule Florence and the Republic was overthrown. The lack of a job forced him to switch to writing about politics instead of being active. His diplomatic missions were his last official government positions. When Machiavelli lost his office, he desperately wanted to return to politics. He tried to gain the favor of the Medici by writing a book of what he thought were the Medici’s goals and dedicating it to them. And so “The Prince” was written for that purpose. Unfortunately, the Medici didn’t agree with what the book said, so he was out of a job. But when the public saw the book, they were outraged. The people wondered how cruel a man could be to think evil thoughts like the ones in “The Prince”, and this would come back to haunt him when he was alive and dead. However, if the people wanted to know what Machiavelli really stood for, they should have read his “Discourses on Livy”, which explains his full political philosophy. But not enough people had and have, and so the legacy of “The Prince” continues to define Machiavelli to the general public. Some years later, the de Medici family was banned from Florence. The republic was reconstructed and Machiavelli was candidate for government. But the reputation of “The Prince” made people think he had the same political phylosophy as the de Medici family and so he didn’t get elected. As from that moment, his career went downhill rapidly and so did his health. He died a few months later, in 1527.